Imagine white sandy beaches surrounded by lush foliage of a tropical forest and mountains that almost reach the beach. This is what you will find at Manuel Antonio National Park, one of Costa Rica’s conserved parks located in the Central Pacific side of the country. It is the smallest national park, yet it boasts rich wildlife and is home to 109 species of mammals and 184 species of birds. Located just south of the city of Quepos, Puntarenas, Manuel Antonio was listed as one of the world’s most beautiful beaches and national parks by Forbes in 2011. It is widely held as the second most visited national park within the country. We feature several listings of Manuel Antonio Real Estate including Manuel Antonio Condos, bungalows, estate homes and tracts of land for sale Costa Rica. Manuel Antonio’s easy access, and available commerce make it one of the most sought after locales for buying Costa Rica homes for sale as investments. There has been considerable development here in recent years. For those that are first time buyers of Costa Rica real estate, this place is a wonderful locale to buy your first home or investment property. The park has tons of marine biodiversity, including beautiful, and protected coral reefs and features four beaches: Manuel Antonio, Espadilla Sur, Teloro, and Playita. Manuel Antonio Beach and Espadilla Sur feature tidal pools making snorkeling popular and easy. The parks locale on the Pacific is also widely held as one of the best places in the country for fishing. Eco tourism is a large part of this area’s economy with birders, surfers, swimmers and explorers of all ages visiting the park year around. Click here to see Manuel Antonio Real Estate listings. Give us a call, or send us a message via our contact form. I first visited Costa Rica in 2004 and from that moment I fell in love with the atmosphere, culture and beauty of the country. Costa Rica has been my full time residence since 2005 and I started Dominical Real Estate in 2008 after a career in real estate in Vancouver, BC for 10 years. I’ve invested in land and development in Costa Rica and I am proud to call the country home. I’d love to speak with you about your ideas and share my knowledge of the Costa Rica real estate market with you. My ultimate goal is to help buyers find the perfect property that meets their wants, needs and goals for the future. 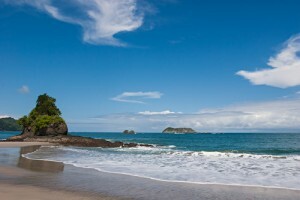 Posted in Uncategorized and tagged Luxury Real Estate, Manuel Antonio Real Estate.